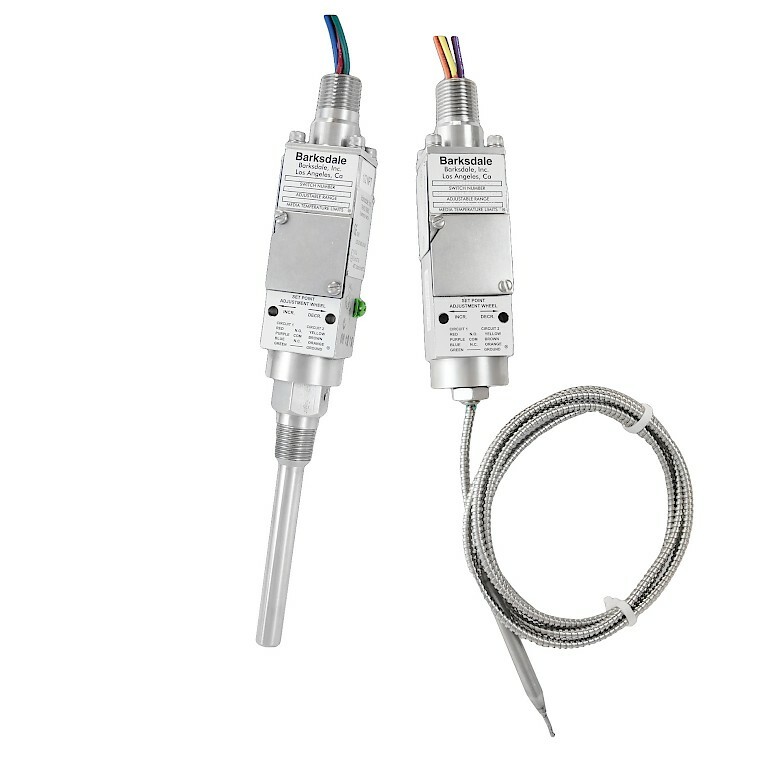 Barksdale series T9692X explosion proof compact temperature switches are ideal for hazardous location and heavy industrial applications where space is a premium. The T9692X is for use in UL and CSA Class 1 Div 1, and ATEX hazardous areas. It features easy set point adjustment with a choice of a SPDT switched output of simulated DPDT output (2 SPDTs). The compact Atex pressure switch is available as either a local mount or remote mount with a choice of capillary lengths.